Is Texas in the Race? The federal government is giving away $4.35 billion to state education systems through Race to the Top. But is Texas already out? Texas may not be eligible for Race to the Top grants, a $4.35 billion competitive grant initiative by the U.S. Department of Education, according to eligibility requirements issued today. Under the guidelines, states must show how they have paved the way for reform. The money will allow states to invest in new educational efforts and strengthen existing systems. According to the requirements, that means, among other things, participating in the effort for nationwide curriculum standards and not having caps on charter schools. That’s where Texas runs into some murky territory. Only Texas and Alaska did not sign on to Common Core State Standards Initiative, an effort to create consistent standards across states. Texas also has capped the number of charters it issues. Russ Whitehurst, senior government fellow at the Brookings Institution, said Texas' decision not to participate in the consistent standards initiative could put Texas out of the running for Race to the Top funds. Texas Education Commissioner Robert Scott isn’t worried. “We’ve benchmarked to national standards,” he explained. Texas didn’t join the effort for national standards because it was already in the midst of finishing its own curriculum overhaul, says Debbie Ratcliffe, TEA’s spokesman. “We will make sure that our standards meet or exceed those standards,” she said. 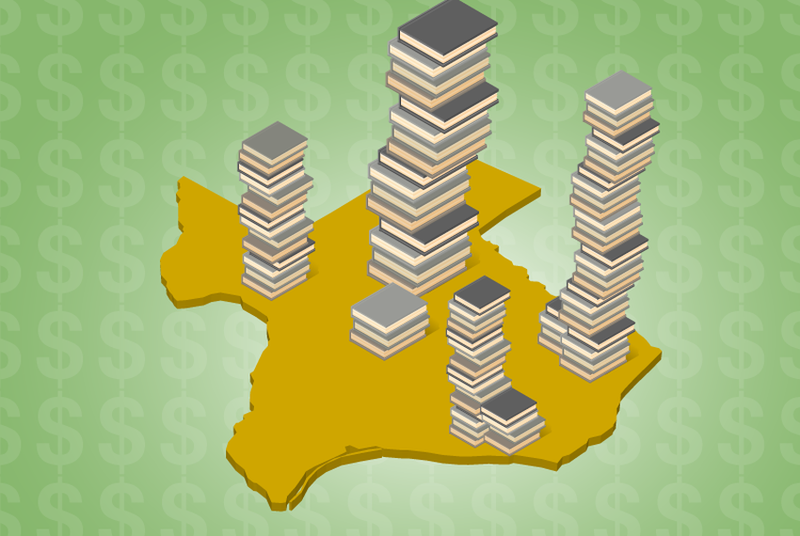 The second complication — Texas’ cap on the number of charters it allows—is less of a problem. While Texas caps the number of charters at 215, there is effectively not a cap on the number of schools — high-performing schools can expand relatively easily without new charters. Scott said he is not concerned about the charter requirement, but last week, he drew attention to Texas’ technical cap during a speech to the Austin Chamber of Commerce. During the speech, he discussed loosening the cap on charter schools, and later explained he meant he would advertise that high performing charter schools could expand to multiple schools without needing a new charter. Several groups, like the Texas AFT and the Texas Democratic Party, got concerned that Scott was trying to abolish the cap. Ultimately, Eric Hartman of the Texas AFT said maybe instead of trying to actually abolish the cap, Scott was trying to show the Department of Education that the state should qualify for Race to the Top grant dollars. Still the Department of Education wasn’t optimistic about Texas’ odds.